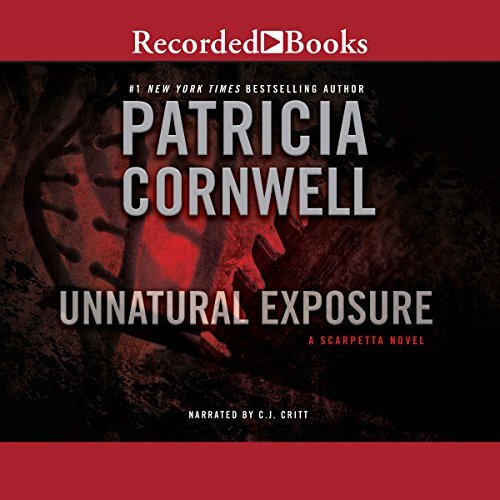 Filled with tension and continual surprises, Unnatural Exposure is a thrilling chapter in Virginia Chief Medical Examiner Kay Scarpetta's life, and a triumph for #1 New York Times best-selling author Patricia Cornwell. When the killer contacts her via e-mail, Scarpetta enlists the aid of her computer-savvy niece, Lucy, to help track this monster through cyberspace. 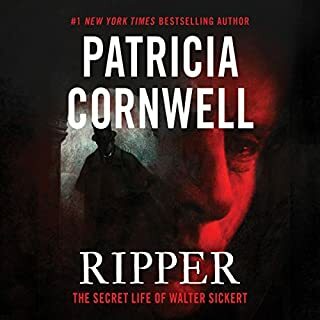 Learning that the Virginia victim was exposed to a high-tech virus that might unleash an epidemic, Scarpetta realizes she's dealing with a sophisticated mind. Her investigation leads her from the government's biological defense facility in Utah, to Atlanta's Center for Disease Control, and eventually to quarrantine, when it is discovered that Scarpetta has been exposed to this fatal virus. Along the way, she's forced to deal with the unscrupulous ambitions of a slick FBI agent, Lucy's problems, and her own turbulent feelings for Agent Wesley Benton. Unnatural Exposure is the 8th book in the Kay Scarpetta series. 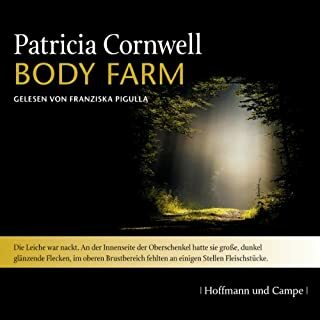 Don't miss the other titles in Patricia Cornwell's Kay Scarpetta series. I like the story a lot but the narrator is awful. She sounds mad, and when reading the part of Kay she sounds like she is talking down to everyone. I loved the early Kay Scarpetta books, and this one, Unnatural Exposure, is just about the last good one. I stopped reading them when the dreadful "Lucy" character hijacked -- and destroyed - the series, but here in this book, Lucy is enough in the background that the story is still entertaining. The theme -- "saved" deadly viruses such as small pox -- is interesting, and the narrator deserves a zillion kudos for her ability to speed right through all the medical and biological words and phrases, terms I would have skipped entirely if I'd been reading it. Bottom line: not my favorite audiobook of all time, but all in all, a good listen. This is the first time I have written a review on a book before I have finished it. I can't WAIT to finish this one! Not to see how it ends, but to put myself out of my misery of listening to this awful narrator who is ruining an otherwise potentially interesting mystery novel. 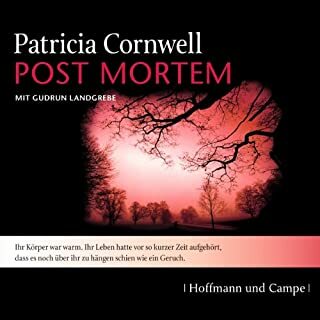 I like the Kay Scarpetta character, and enjoy forensic mysteries, and Patricia Cornwell's novel could very well be a very good book. However, C.J. Critt is butchering the experience of listening to the story so thoroughly, that one many never know how good it could be. The voices she gives to all the characters, especially to Kay's love interest Benton Wesley, would be laughable if it wasn't so annoying. I found myself wondering what she could possibly find attractive about a man who talkes like he does, until I remind myself that it is narrator botching the voices so badly that they are unlikeable. Frankly, I don't even like her "regular" voice that she has given to Scarpetta. The visual of the Scarpetta one gets from her voice is one of a hard, rather unattractive, difficult, impersonal character. I would like to like Kay, but Ms. Critt is making it very difficult. I noticed that Kate Reading reads the rest of Cornwell's unabridged novels, and in the brief listen she sounds like an improvement. In "The Scarpetta Factor" the narrator changes again, to Kate Burton, who has a lovely voice, but it is difficult from a small clip to know how she handles the male characters. 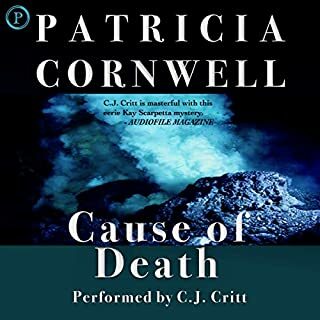 Hopefully, both of these two narrators will do better than Ms. Critt, and make the listening of Cornwell's novels more enjoyable. One thing is for certain... they couldn't possible make them worse. 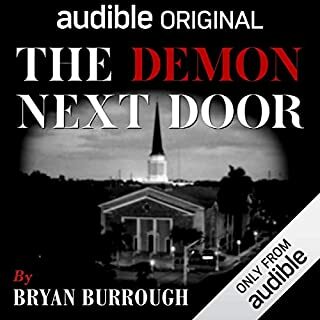 I purchased this audio book because I have liked reading this author's books in the past, but I couldn't get through the first few chapters of this recorded book. The narrator's style is flat, slow and dull. I even tried moving my ipod to a faster rate of delivery for the book, but it still didn't work for me. I am very disappointed and will not be finishing the book in this recorded format. A good Kay Scarpetta story. It had enough depth of character and plot twists to keep my rapt interest. And, for series readers, relationships change and natural aging happens with the familiar characters. While the story was exciting and full with deep characters the narration by C.J. Critt was stilted, awkward and distracting. Very un-enjoyable. The narrator was so awful, it seemed as though she was doing standup. I had to reduce the volume because she yelled. After she narrated four lines, I kept waiting for her to say "tah da "
Have been trying for weeks to get through this book on my ipod no less. Narrator is so bad that I can barely listen for a couple of minutes at a time even though the plot is fairly interesting and I should want to find out what happens. total waste of money and time. 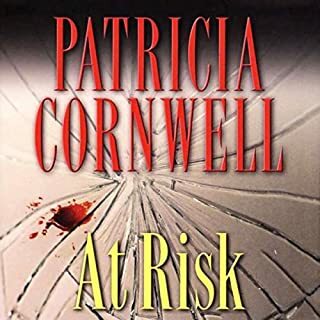 The story is great, as most Cornwell books, but the narrator makes me feel as though she believes I am either a small child or have an IQ under 60. She speaks VERY slowly and deliberately, pausing in odd places, and seems to think that commas need long pauses, periods longer, and chapter breaks a long dead air space. It detracts considerably from the story and is hard to listen to. sentences and pauses muddled the emphasis. Held my interest not at all.